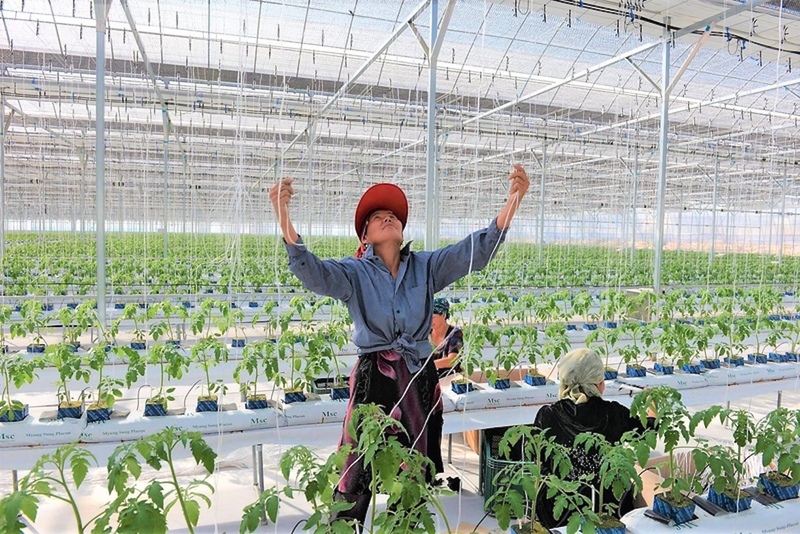 TASHKENT -- Uzbekistan has made farm exports a high priority in its drive for economic development. In a first for the country, export company Uztrade in October delivered a one-tonne shipment of fresh melons to the American market. Uz-American Trade Corp., based in New York City, plans to sell the melons on the American side, according to Gazeta.uz. That one-tonne shipment is only the first step, according to the Uzbekistani Foreign Trade Ministry. The process of bringing together Uzbekistani and American businesspeople, which began a few months ago, is opening up new opportunities for Uzbekistani farmers. On September 20 in New York, during the US-Uzbekistan Business Forum, participants signed contracts worth $2.6 billion (20.9 trillion UZS). Uztrade, an exporter operated by the ministry, has signed contracts to deliver textiles, dried fruits and vegetables and other goods worth $5.1 million (41.1 billion UZS) to the United States, reports the website Gazeta.uz. Local stakeholders are confident about the trade arrangements. "We grow more than 100 unique varieties of melons in our country alone," Bakhrom Mirkhamidov, an employee at an agro-industrial firm in Gulistan city, Syrdarya Province, told Caravanserai. "Despite the difficulty of transporting them and the distance, I think that Uzbekistani melons will find their niche in the US as an exotic and upscale food." Stepping up exports of fruits, vegetables and processed foods is important for the Uzbekistani economy. Presently, those products comprise 6.2% of Uzbekistani exports by value, making them 1.5 times more valuable than exports of cotton, a long-time Uzbekistani mainstay. From 1991 through 2016, the country's production of melons and pumpkins grew more than twofold to more than 2 million tonnes per year, according to the Ministry of Agriculture and Water Resources. However, exports of gourd crops remain relatively paltry. In 2016, they amounted only to 68,000 tonnes, 0.8% of the volume of food exported by Uzbekistan. The government is taking steps to encourage farmers to become their own exporters. "Under a decision by the president [Shavkat Mirziyoyev], effective July 1, entrepreneurs may freely export their farm produce directly to foreign partners," Tashkent lawyer Utkur Usmanov told Caravanserai. "Previously you had to go through the government monopoly Uzagroeksport." Starting in August, authorities "rescinded the requirement that [exporters] sell part of their hard-currency earnings to the state" in exchange for Uzbekistani currency, added Usmanov. Another reform that Mirziyoyev pushed through July 1 reduces the time needed to prepare shipping documents. Such reforms appear to be having their intended effect. "Growing melons became much more lucrative this year," Akrom Tolipov, a farmer from the village of Uzgarish, Taskhent Province, told Caravanserai. "In 2015, the government banned exporting melons and other food by truck to prevent exports [by individuals]," he said. "Now all prohibitions have been lifted, and new prospects are open." A delegation from the Uzbekistani Ministry of Agriculture and Water Resources recently visited the United States to explore opportunities for increased trade. From October 23 through November 1, the rectors of several agricultural universities and some government officials studied cutting-edge American technologies and sought to build stronger trade relations. "During talks at the US Department of Agriculture, the Uzbekistani delegation [discussed] possibilities of attracting American investment in the agricultural sector, setting up reciprocal exchanges between industry specialists, and implementing joint projects that involve supplying Uzbekistani agricultural goods to the United States," the Uzbekistani Foreign Ministry said in a statement. 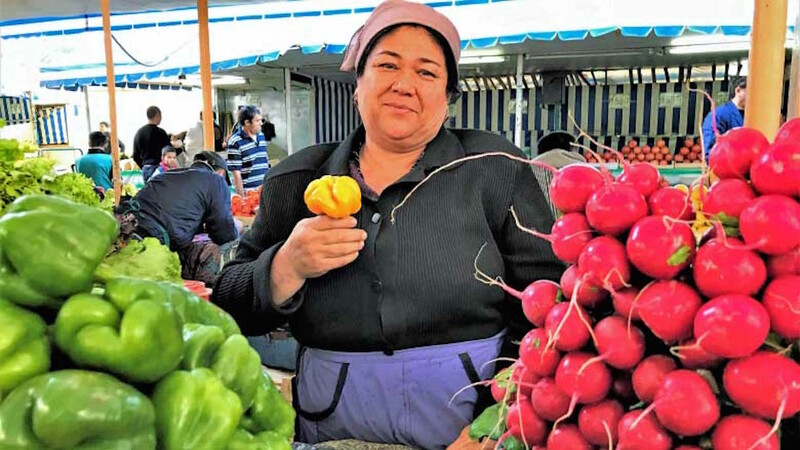 Loans to farmers and agro-firms are creating 2,500 job opportunities across Uzbekistan.